Are you looking for a Auto Accident Chiropractor in Las Vegas? Dr. Rick Owen has been in practice for approximately 29 years. 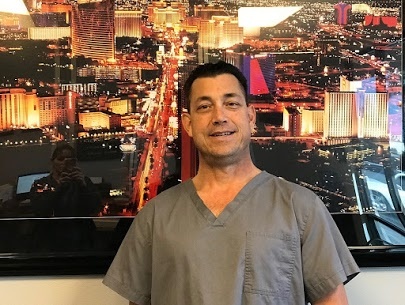 His primary practice focus is chiropractic care, physical therapy and treatment of patients who have been injured in Las Vegas car accidents. He has treated thousands of the car accident victims and knows how to identify those hidden injuries after an auto accident. Dr. Rick Owen is no stranger to providing expert witness personal injury testimony in car accident cases. He is a trained Unlv/Nev Sch Med / Palmer College chiropractic physician. He has experience in treating chronic pain conditions in patients injured in sports, auto accidents, work accidents and weekend warrior pain and injury. Fender-benders can cause hidden injuries that can develop into pain, headaches, and long term disabilities if not treated immediately after an auto accident. CAD: Cervical Acceleration is the medical terminology for a sprain/strain injury or “WHIPLASH“. This is often the result of a MVC (Motor Vehicle Collision). Many times due to that adrenaline rush, you may not feel immediate pain following an auto accident, but within 72 hours you often do. It may even take several weeks before full onset of symptoms. These injuries if not properly fully evaluated and treated may lead to future health problems. Quality Chiropractic and Injury Rehab offers quality care and rehabilitation for auto accident injuries. We have the best chiropractor in town for over 25 years that will find the source of your pain and correct it. We treat all ages. Why go anywhere else? Call for an appointment or go to our web site http://www.qualitychiropracticlv.com (702) 778-7186. Cross Streets: Between Vista Palmas Blvd and Battista Ln.